Find out more about our doctors! Mon, Tues 8 a.m. to 8 p,m. Weds-Friday 8 a,m. to 5 p.m.
We offer the most comprehensive dilated eye exams available. Our staff of Board certified Ophthalmologists and Optometrists offer the same level of care whether you are having a routine eye exam or seeing one of our specialists. Our Optometrists fit all types of contact lenses from disposables to prosthetic lenses. We offer a full line of designer and specialty frames and lenses in our optical department Eyes of the Fox at our St. Charles and Elgin locations. 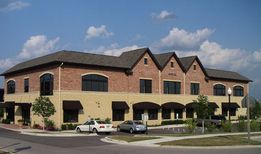 Fox Valley Ophthalmology maintains a reputation for quality eye care. We offer exams and treatments for a wide range of eye health disorders, complete muscle balance testing and correction for children, 24 hour emergency care, the latest in laser vision correction, laser and No-stitch cataract surgery. We have both retina and glaucoma specialists on staff.